Editor's Note: Bob Murch is the world's foremost authority on Ouija and spirit boards. 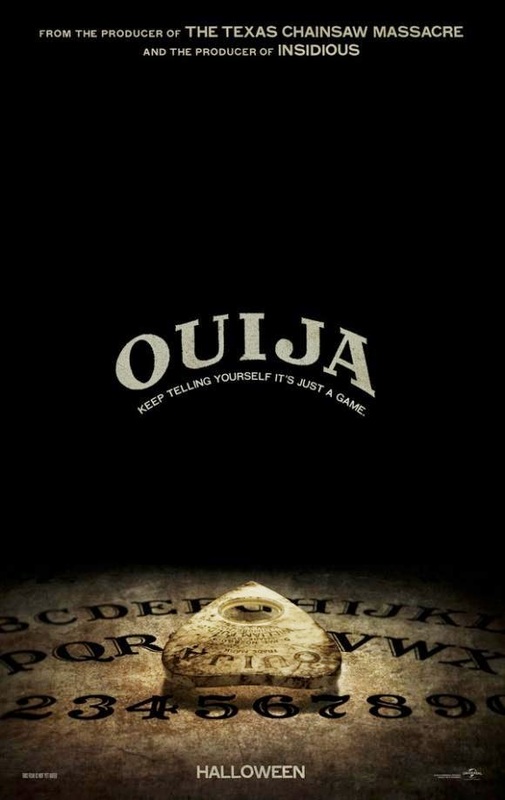 "Ouija" the movie kicks off this year’s Halloween season when it possesses theaters Oct. 24. This is the Official Hasbro/Universal release of the “game” we’ve all experienced. 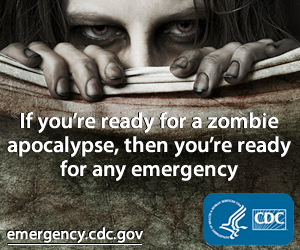 The trailer was released yesterday, and for a PG-13 film, it looks pretty scary. The premise? A group of teenagers find an old Ouija board and try to make contact with their dead friend. What could go wrong? Well, things take a turn for the worse when whatever they contact doesn’t want to say “Goodbye” and all hell breaks loose. But as you know, it's not just those teens that have an unbreakable connection with the spirit board. In fact I actually was fortunate to consult with Hasbro Entertainment on the Halloween film. So here's a little bit about my bond with the movie board. In 2009 I contacted Brian Goldner, CEO of Hasbro, after I caught an MTV interview he did on the idea of doing a Ouija movie. He put me in touch with Bennett Schneir who was the head of Hasbro Entertainment in LA. Bennett is one of the producers on the movie. I caught him up on Ouija history, lore and its effect on pop culture. In 2011 Universal suddenly dropped the movie for budgetary reasons and it seemed like the most popular spirit communication device in history was truly dead. But nothing ever stays dead in the movies and thankfully neither did "Ouija." After director, script and writer changes in 2012, Universal and Hasbro resurrected the movie and decided if they were going to do it, it had to be scary. While many reported it was a bold decision for a game company that sells its wares in toy stores, I say it was genius. Personally I didn’t want to see Ouija turned into "Jumanji," but hey, that’s just me. Then, in early 2014 the cast was announced and filming was quick, lasting only a few short months. After haunting the studios for years, "Ouija"’s release is just around the corner and my spirits couldn’t be higher. But before I could even finish my question the planchette flew to “Yes.” Was there ever any doubt? No game in history is as polarizing as the Ouija board, and I’m pretty sure the movie will share its fate. As Ouija’s number one fan I’ll be the first in line waiting to see the Mystifying Oracle make it’s big screen debut. You’ve got questions and Ouija has answers so "Let the Spirit Move You" this October and go see Ouija! Don’t forget to “Like” the movie's Facebook Page and for all you Tweeters out there, follow #OuijaMovie @OuijaTheMovie and tell them I sent you! ROBERT MURCH is the world’s foremost collector, historian and expert on Ouija and talking boards. His bizarre relationship with Ouija began after watching the movie Witchboard in 1986, a century after the talking board made its debut. Murch purchased his first antique Ouija board in 1992, and became obsessed with unraveling the mystery of its origins. 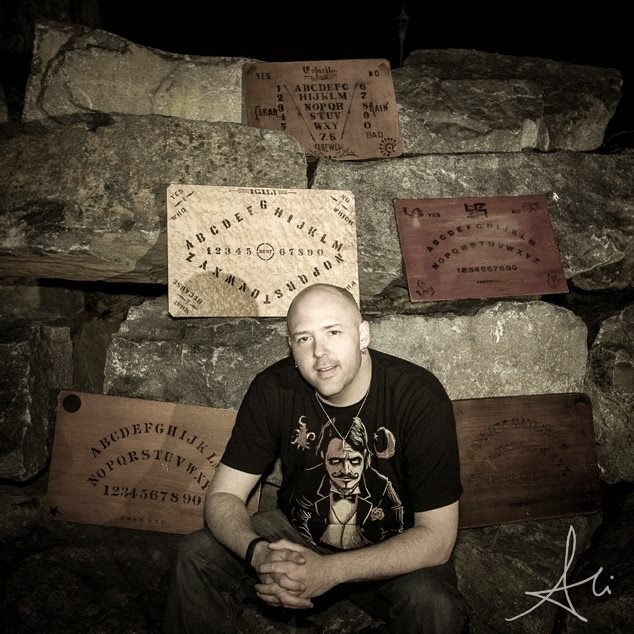 Since then he’s devoted his life to researching the history of the Ouija board and its founders, with Murch often traveling the world to track down descendants of all those involved with the introduction of the Mystifying Oracle.